about this book: Peter Stone is an Englishman who lives in Melbourne with his partner Martha. His patient dealings with truculent stepson Kane and exemplary care of the residents at the nursing home where he works enable Martha to overlook his refusal to discuss his past and his puzzling obsession with white tablecloths and towels. But Martha is unsettled when a mysterious phone call in the middle of the night prompts Peter's sudden return to England. Is there another woman? And is Peter who he says he is? 'Peter Stone' was inspired by the infamous Mary Bell case, England 1967. I wanted to explore the concept of inherited guilt and how people deal with the legacy of past trauma through the main storyline and a number of thematically related subplots. This novel should appeal to readers who love a mystery, especially those who enjoy a substantial psychological element. My main character's name (and book title) derives from the fact that 'Peter' means 'stone'. I wanted to emphasis the flinty aspects of his personality. By a happy coincidence, an internet search revealed that Peter's Stone in Derbyshire was the site of the last gibbeting in England, a fact I was able to incorporate into the story. The front cover is an image of Stanage Edge in Derbyshire. I liked the intensity of the setting sun bleeding on the cruel, craggy rocks. Blood on stone is a recurring image throughout the novel. I very much enjoyed the long hours spent on research for this novel, such as the Mary Bell case, the characteristics of psychopathic children and the Derbyshire landscape. The section dealing with the Battle for Monte Cassino was the hardest to write as it involved selecting the salient facts from a mountain of material and welding accurate details into a plausible and engaging narrative. The most unexpected result of the research, combined with the writing process, was the sympathy I developed for the murderer. While dealing with dark deeds and dark secrets, this novel also explores the complexity and fragility of human relationships. 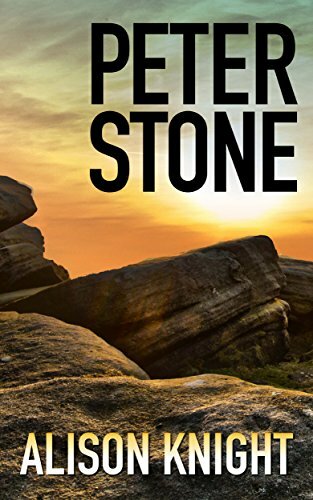 Ultimately, 'Peter Stone' offers the hope of redemption.